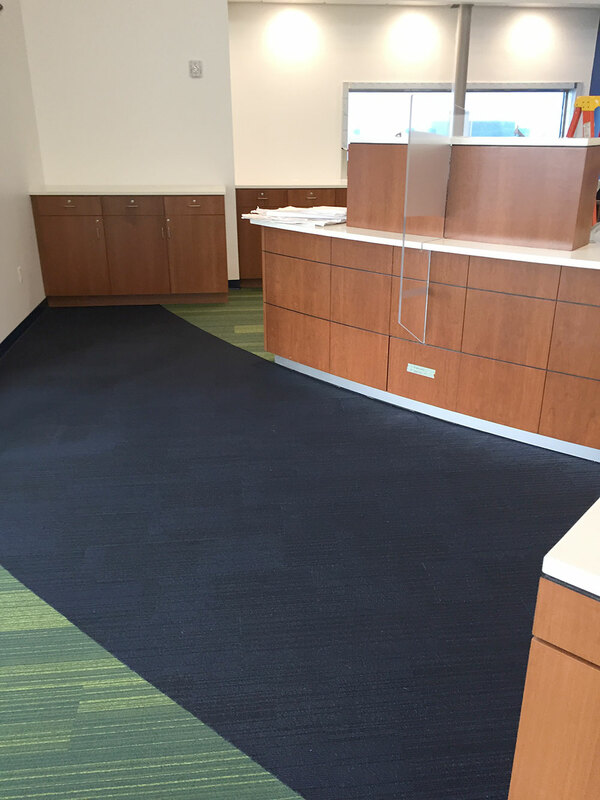 Northeast Flooring Solutions sells and installs commercial carpet and carpet tile for professional and comfortable work environments. 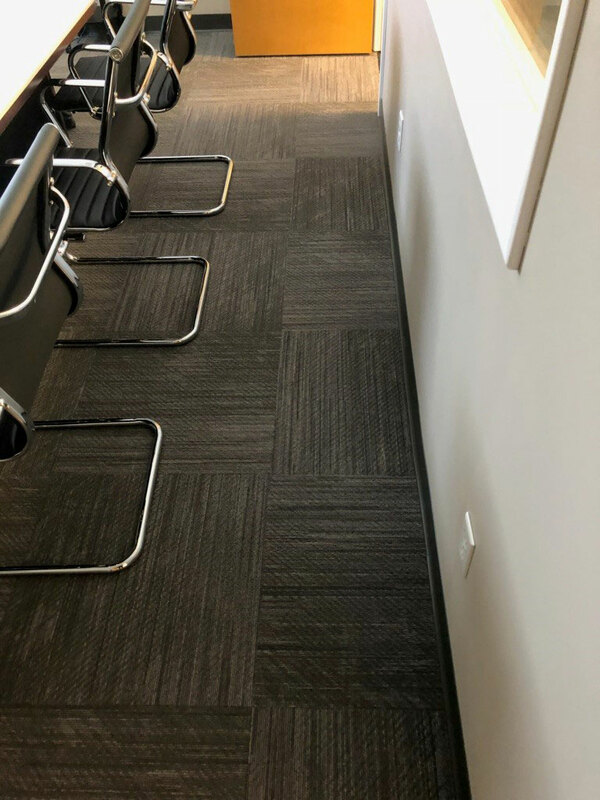 Carpet and carpet tile flooring are a long-standing favorite when it comes to durable flooring for office buildings, and public spaces, retail environments and residential locations. The versatility of carpet enables companies to maximize visual impact with countless patterns, pile heights and styles. It allows end users to visually extend their brand with custom color combinations, and impart sentiment like boldness, calmness or the confidence of traditional values. 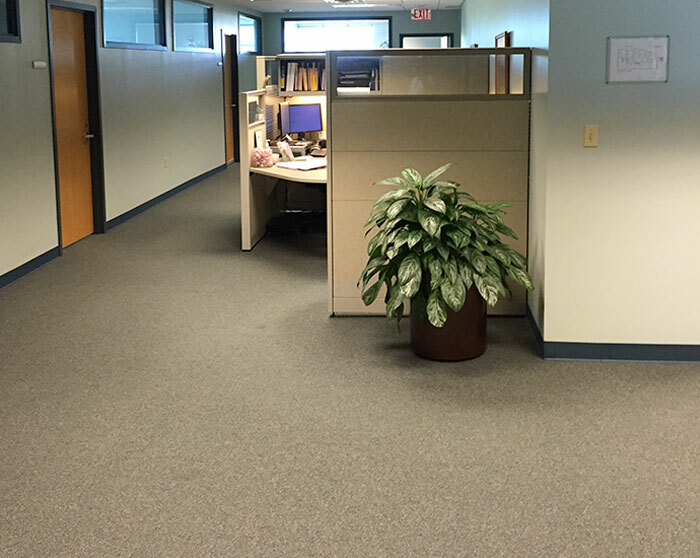 Commercial carpet and carpet tile stands up to heavy use. Carpeting adds insulation, reduces acoustical noise, and provides non-slip safety. Northeast Flooring Solutions sells and installs a variety of major brands of carpet including, just a few of which are Shaw, Patcraft, Mohawk, Mannington, Milliken and Masland brands. Your more traditional option, which allows for a more seamless installation. The variety in product lines allow you to choose a carpet which features characteristics such as being stain or spill resistant, or great for high traffic areas. There are also a variety of color and pattern options, so you are sure to find something that gives you the look you want. The newer option allows for a more modern look, with a versatility of colors, patterns and textures with the opportunity for customization. Designs range from geometric, to linear, multi-color or solid, and even have organic offerings. You also have a wide variety of install options that will adjust the look and feel of the overall pattern. Because of the modularity of the tile, it allows for an ease of long term maintenance and repairs as you can replace a section of carpet as small as one tile if need be. With an endless array of options, you are sure to find something that makes just the statement you are looking for – whether that be to the more abstract, or a rich pattern and texture that suggest subtle elegance. Looking for a small accent rug? Can’t find just the right size for your space? Wanting something that perfectly matches a larger installed rug? Let us help you find the perfect carpet to complete your finished projects look and we can have it cut and bound to perfect size for you. Not quite sure what you are looking for? Our flooring experts are happy to help guide you to the right solution for you. 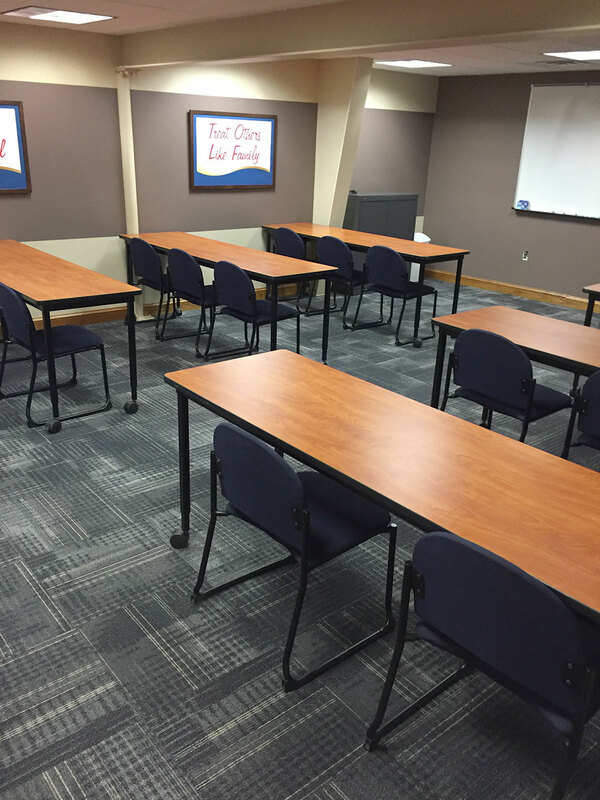 We can also schedule your commercial carpet installation for a time that is convenient to your business. Check out our options of cove base in our Flooring Accessories to put a finishing touch to your new carpeting.